How many polka dots are in your life? Today’s article is dedicated to my favorite fashion trend called polka dots and I am more than happy for its comeback! This print is loved by everyone! It smells childhood, looks retro-inspired, feminine and playful. This print has it all, a funky retro twist, elegance, classy appearance and that special preppy style. It comes in million of sizes and colors. So, what are you waiting for? Get draped in one of these looks! 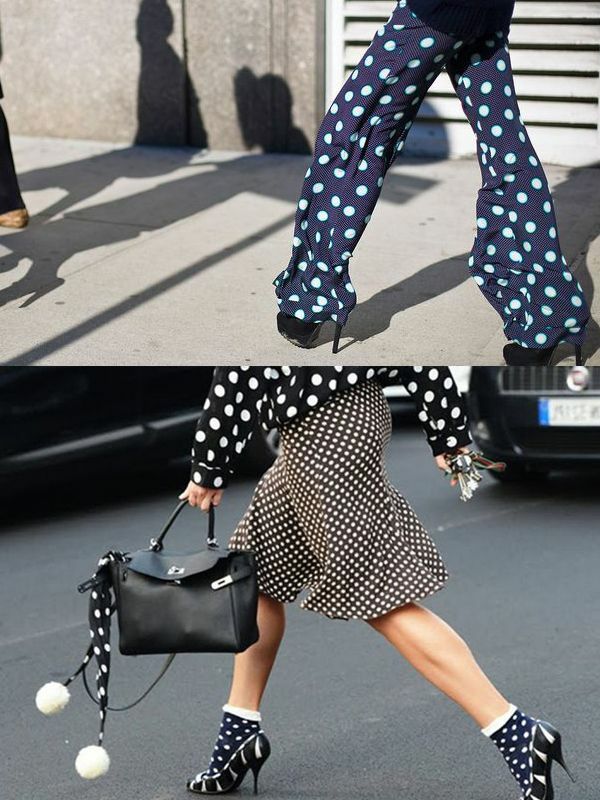 Polka dots can be worn with neutral color clothes, with the same print or mismatched with other patterns, like stripes, animal spots, geometric prints, etc. I guarantee you gonna love this trend, it’s cute, pretty simple to wear and versatile. I think most of you want to know which dots are going to be seen next year. All are in! 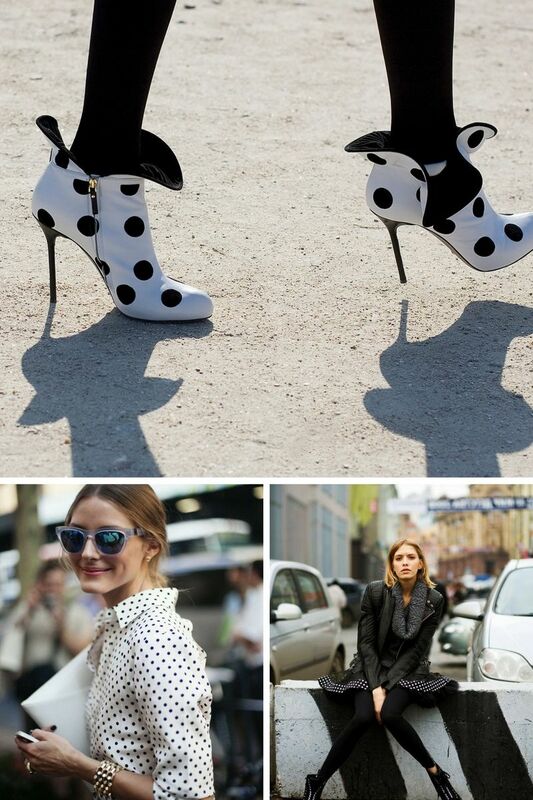 It’s simply impossible to find the perfect polka dots that are easy to style and wear. They are all unique. 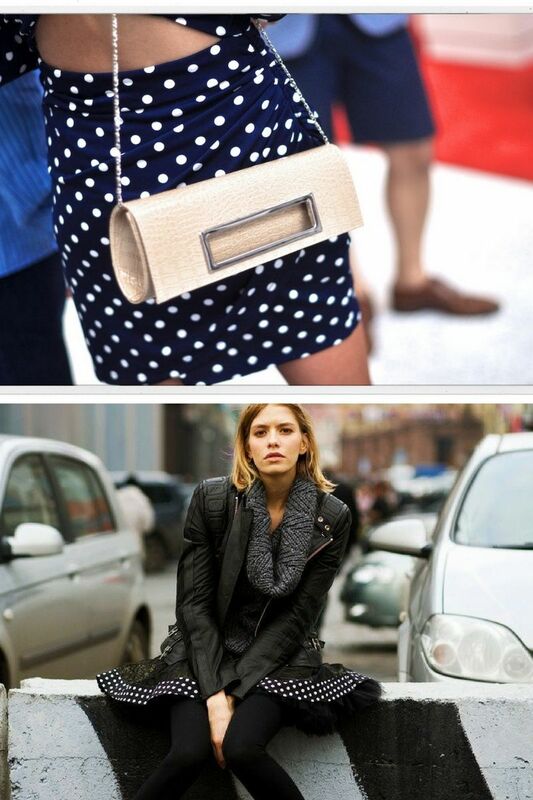 I recommend going for a cool combo that consists of luxe pieces in retro chic and vintage style. Keep it feminine and effortlessly sweet. 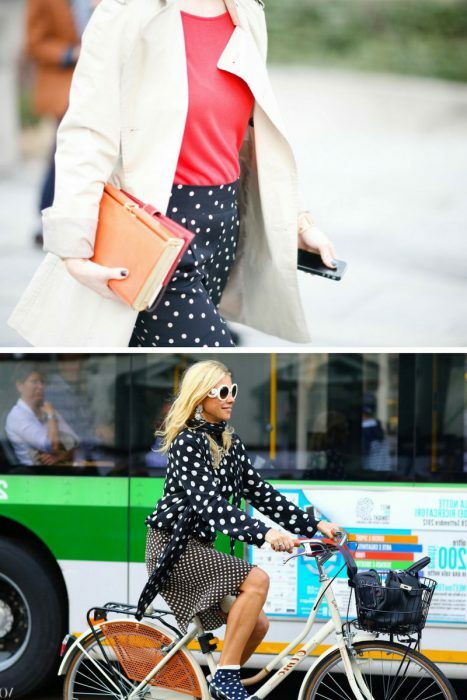 Tiny little retro chic polka dots can make you look and feel fabulous. 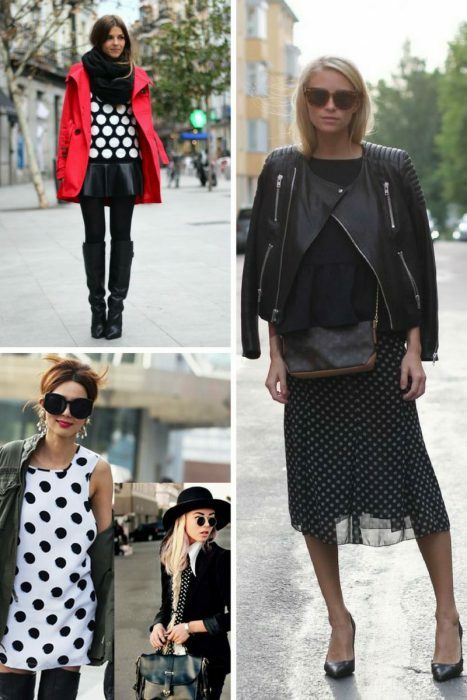 These dots can appear on flowy fabrics of knee-length dresses, loose skirts, and blouses. 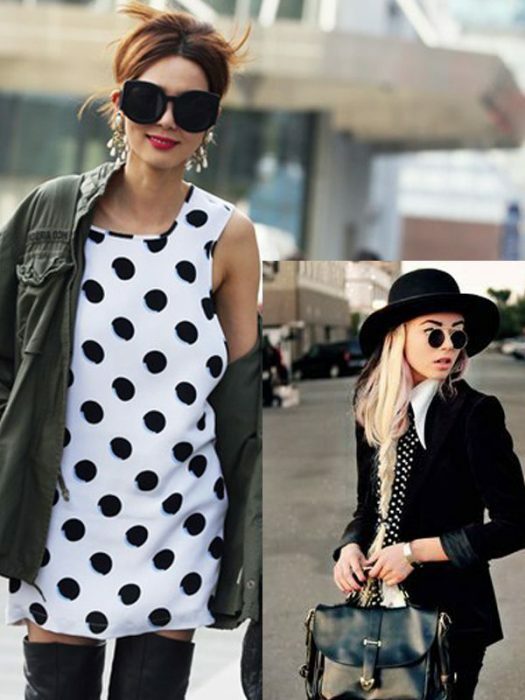 Make sure to team these dots with ladylike items, like classic heels, cat-eye sunglasses, and trench coat. If you are more into experimentations, then you can go crazy with polka dots by wearing edgy and retro versus futuristic pieces. Break the classy and vintage spirit look by adding super rock and roll essentials and sophisticated basics. 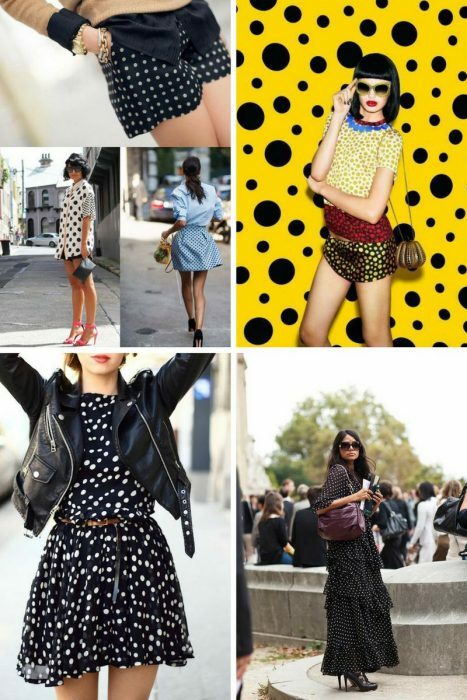 For instance, a sweet polka dot dress can be complemented with a leather jacket, sneakers, boyfriend blazer or a messy hair. Don’t be afraid making a real statement on the streets. Go for small or big dots, neon colors, crazy shades, experiment with cuts and materials.